The vast swathe of Kenya that runs north from Nairobi towards the remote border with Ethiopia is characterised by geographic extremes. 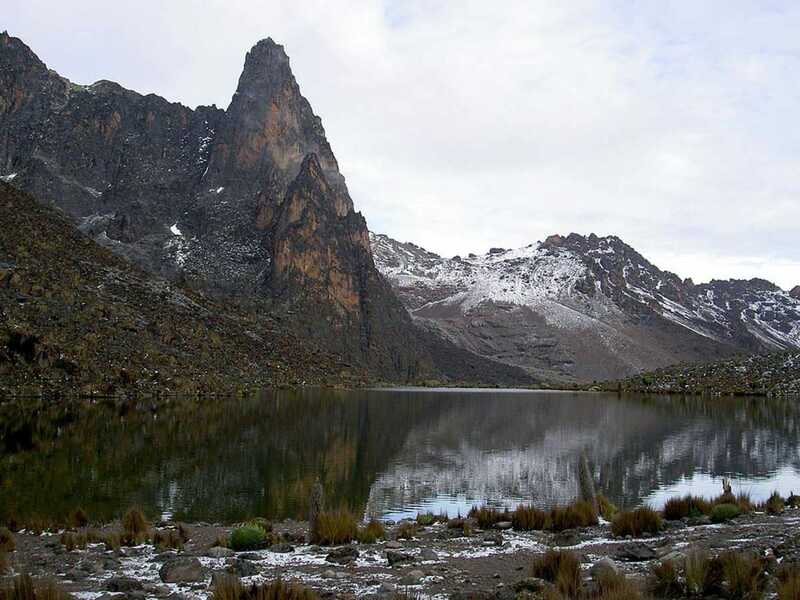 On the one hand, there are the cool and fertile central highlands that rise towards the 5,199m peak of Mount Kenya, not only Africa’s second-tallest mountain, but sufficiently lofty to actually support glaciers less than 15 km south of the equator. By contrast, the hostile plains that stretch north from Mount Kenya rank among the most parched and barren of sub-Sahelian landscapes, supporting a thin population of nomadic peoples who eke out a living as traditional pastoralists. These contrasting landscapes offer some of Kenya’s finest and most varied game viewing. Admittedly there’s nothing quite on the scale of the Masai Mara, but the remote and rugged likes of Meru National Park, Samburu-Buffalo Springs National Reserve and the private ranches of Laikipia support a fascinating array of dry-country wildlife, while the highlands around Mount Kenya are rich in forest wildlife. Overall, the northwest will perhaps be less rewarding to first-time safari goers than the more famous southern circuit, but when it comes to unusual wildlife encounters and a genuine wilderness experience, it arguably has more to offer repeat African visitors. Protecting Africa’s second-tallest mountain, Mount Kenya National Park is also Kenya’s most popular destination for multi-day hikes. For ordinary hikers, the usual goal is the 4,985m-high Point Lenana, but peak-baggers with suitable climbing experience and gear can head all the way up to the 5,199m Batian Peak. Either way, weather permitting, the landscapes - from lush rainforest to stark equatorial glaciers - are stunning. Set in the forest zones of Mount Kenya and nearby Aberdare National Park, a trio of hide-like tree hotels - Serena Mountain Lodge, Treetops and The Ark - offer a unique overnight game-viewing experience, overlooking water holes that regularly attract some or all of the Big Five, as well as a host of secretive forest-dwellers. The attractive Thomson’s Falls stands alongside Kenya’s highest town Nyahururu. Solio Game Ranch, set on the grassy highland saddle between Mount Kenya and the Aberdares, operates Kenya’s most important breeding program for black and white rhino. The vast Laikipia Plateau protects a patchwork of private and community-owned sanctuaries that offer an exclusive all-inclusive safari packages focussing not only on the Big Five but also on rarities such as Grevy’s zebra and black rhino. At many ranches, game drives are supplemented by a more varied menu of night drives, guided walks and horseback safaris. 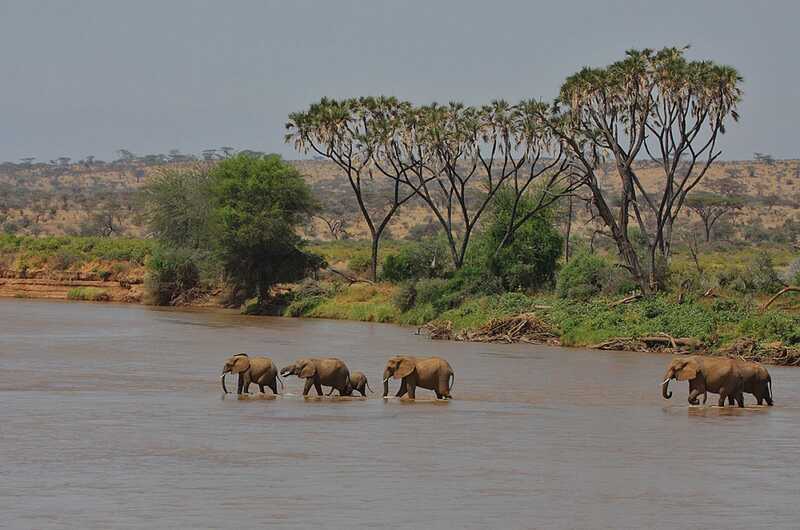 Set on the arid plains north of Mount Kenya, the Samburu-Buffalo Springs-Shaba complex of national reserves protects a harsh environment alleviated by the forest-fringed waters of the perennial Ewaso Nyiro River. It is the best place to see a long list of localised dry-country mammals and birds whose range is limited to northern Kenya and bordering parts of Ethiopia and Somalia. The Namunyak Wildlife Conservancy north of Samburu can be explored on exclusive multi-day camelback and walking safaris. 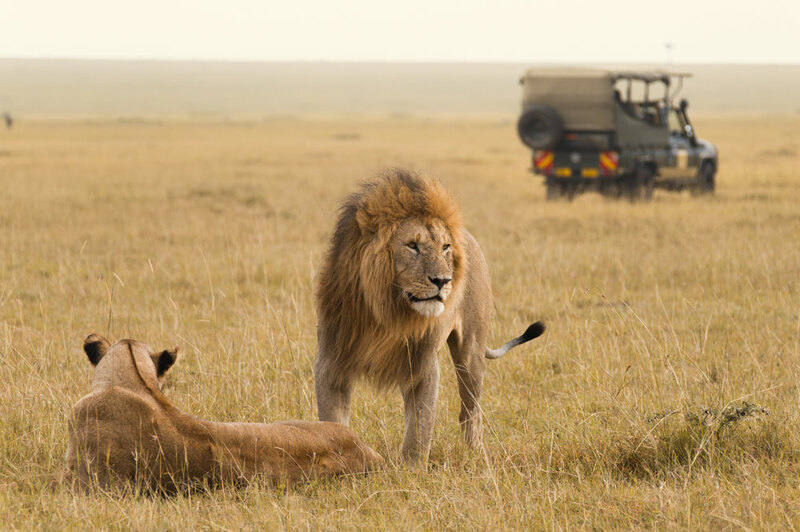 Arguably Kenya’s best-kept game-viewing secret, Meru National Park holds out the possibility of seeing all the Big Five in an untrammelled and little-visited wilderness of grassy plains and babbling jungle-lined streams. Now accessible along a newly asphalted road running north all the way to the Ethiopian border, the underrated Marsabit National Park protects a volcanic massif that rises in verdant isolation from the surrounding arid plains. Supporting a cover of lush forest, and studded with pretty crater lakes, the park is also home to a good variety of wildlife including some impressive tuskers. One of Kenya’s most alluring off-the-beaten-track goals, Lake Turkana is the world’s largest desert lake, its deep jade waters submerging the Rift Valley floor for a length of 300 km from north to south. Set in a primeval landscape of extinct volcanoes and naked lava flows, this forbidding lake supports the world’s largest concentration of Nile crocodile, and it is also where several of the world’s oldest and most important hominid fossils have been unearthed. The lake hinterland is of great cultural interest thanks to the presence of traditional and colourfully-attired ethnic groups, among them the Rendille, Samburu, Turkana and El Molo. The main air gateway to the region is Nanyuki Airport, which stands close to the eponymous town and is serviced by daily flights from the Masai Mara and Nairobi. Nanyuki is a short drive from most sites of interest in the region, but those heading on to more remote parts of Laikipia or the likes of Namunyak may need to charter an additional flight. Public reserves and parks are best visited on an organised safari, which can be arranged through any operator. Self-drive out of Nairobi is also a possibility. It is quite common to tag a visit to one or more of Laikipia, Meru and/Samburu-Buffalo Springs onto a southern safari taking in the likes of Masai Mara and Lake Nakuru. Any of the region’s three tree hotels - Treetops, The Ark or Serena Mountain Lodge - would make for a great overnight break en route. Hikes on Mount Kenya are best arranged with specialist operators who know the mountain well. Upmarket lodges and tented camps can be found in all national parks and listed conservancies. Private lodges in Laikipia mostly cater to the top end of the safari market, and their standard thing is an all-inclusive package that covers transportation, meals, activities and in some cases drinks. Most lodges in public reserves operate more like conventional hotels.